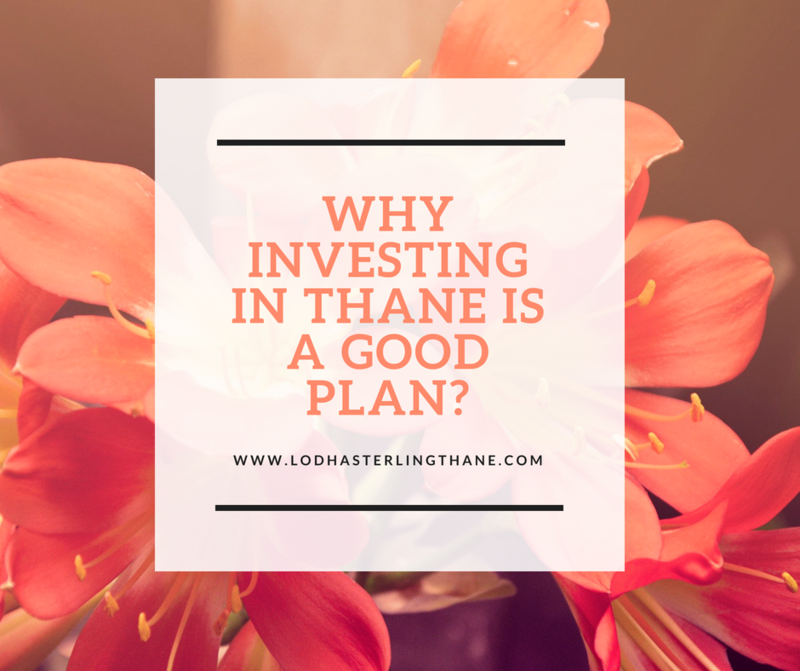 Lodha Sterling : Beautiful homes in Thane Mumbai! Lodha Group has launched beautiful unique low-rise apartments in Mumbai called Lodha Sterling. The apartments are inspired by aristocratic London architecture. The large sized homes offer plenty of natural light and ventilation, as well as complete privacy and luxury of space to home buyers. The development has six low-rise towers designed with a contemporary façade of elegant stone and ornamental metal work. The homes are quintessential to prosperous districts of Central London. The homes are surrounded by lush green land expanses which remind you of London parks. Spread over 11.5 acres of prime land, the residential enclave is designed tasteful style, understated luxury and English-inspired gardens. The development is set around London charmed garden squares, bigger than a private garden and more private than a public park, offering likeminded nobility to mingle in a peaceful and secure environment. The project has 2,3 and 4 BHK large units with balcony that provide ample sunlight and fresh air. The interiors of the complex are designed by world renowned Studio HBA, Singapore. The homes are fully air conditioned and come with an energy efficient VRV system. The project hasimported marble flooring in living and dining rooms. Imported marble flooring has been used in the master bedroom & master toilet. The homes in Lodha Sterling Mumbai have tall windows to maximize sunlight and ventilation. The toilets come with European designed Roca CP fittings. Each residence has a spacious sundeck in the living room and master bedrooms. Lodha Sterling has an internationally acclaimed state of the art clubhouse called‘The Crown’ which is set in a lush green landscape which offers a choice of lavish amenities. The club represents the royal county clubs of Britain.Lodha Sterling is ‘The Address’ and epitomizes a charmed life. The homes have a car park with direct access to lift lobby, square shape towers with a central open courtyard like Lincoln square in London. Spread over 35,000 sq. ft., the clubhouse has already been rated the best in Mumbai. It has all the amenities you can dream of including an indoor games area, gymnasium, party hall, multimedia room, badminton court, and much more. The complex is in Central Thane and all social infrastructure is within 5-10 minutes’ drive from the property. It is just 5 minutes away from TCS’s India’s Biggest Campus. The complex is just 5 min from Viviana Mall, Singhania School and Jupiter Hospital from Kolshet Road. Nestled in the greens of Prime Central Thane, Lodha Sterling feels like a secluded spot of calm far away from the bustle of the city and yet, close to everything. Set amidst the verdant greens, Lodha Sterling offers great air quality, like that of London. 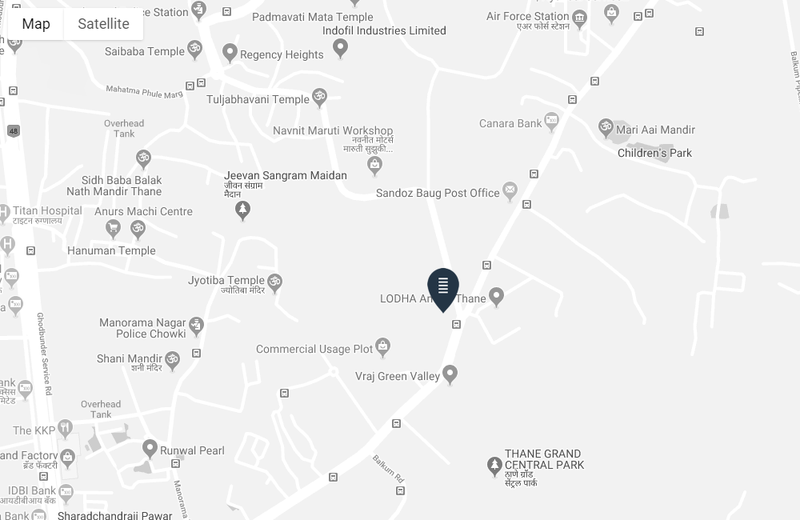 The homes are located at Prime Central Thane, which offers seamless connectivity to both central and western suburbs as well as to major business hubs of MMR. Several Grade A offices and FnB hubs are next doors which give residents plenty of opportunity for work & entertainment. Lodha is one of the most renowned developers of India, which are known for their quality construction and timely delivery. The group believes in bringing innovative technology as well as value for money to home buyers. Lodha Sterling price starts at just Rs 1.62 crores. So, hurry and book your home now. Low-rise, low density development, inspired by London’s garden squares with large green spaces. Marbital flooring in other bedrooms. With Grade A offices and FnB hub next door, your work & entertainment is just a few moments away. Its offers convenient access to major hotspots of Thane like Viviana mall, Jupiter hospital, top-notch international schools etc.